An artist says the Taro skin was plagiarized from an existing design. Update: DeviantArt user Pyro-Zombie and DingDongVG on Twitter have both declared the accusation of plagiarism by Epic Games to be false. 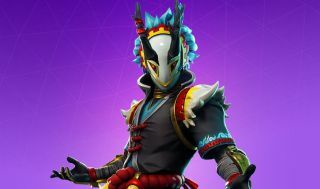 Using Google cache, they say they've found a different image was originally posted to DeviantArt and was only recently replaced with one resembling the Fortnite skin. Here's Pyro-Zombie's blog post explaining the situation. Original story: Taro is a new Fortnite skin added to the game's store on November 14. Yesterday, an artist named Ruby Ramirez wrote a post on Facebook showing Taro side by side with a character design uploaded to DeviantArt more than two months earlier. The similarity between the two is striking. The horned mask, the belt, the hair, the shoulderpads, even the overall color scheme resemble each other. Forbes reached out to Epic Games to ask about the accusation of plagiarism and received the following reply: "We take these claims seriously and are in the process of investigating them."